Kay and CoThe house near Hyde Park, available for far less than period houses of a similar size. Living in a property with a contemporary design rather than one with period trimmings could save renters over £500 ($735) a week in high-end London areas, according to estate agent Kay & Co. Such a saving could allow a family to live in even posh addresses such as the Hyde Park district. The average rent on a five-bedroom house in this area is £1,950 a week, but Kay & Co has one contemporary seven-bedroom house on the market for just £1,475 a week. 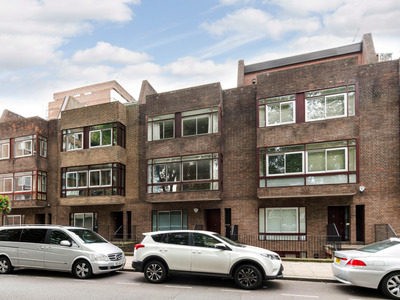 The house — which looks a lot more modern than most in the area — was built in the 1950s and is located in the normally pricey Cambridge Square, W2. While such a contemporary design may not be to everyone’s taste, modern houses tend to include lower energy bills and better security solutions. Kay and Co.One of the large receptions rooms, with marble fireplace. Another benefit of contemporary homes is that they are a lot larger on the inside than they look. The property has over 3,444 sq ft of accommodation — including three reception rooms over three separate floors. The house boasts four bedrooms alone on its second floor, as well as a shower and bathroom. Property renters look set for a tough 2016. With the increase in buy-to-let stamp duty — a tax placed on home-owners when they buy another property — landlords have said they will simply increase rent to make up the difference. 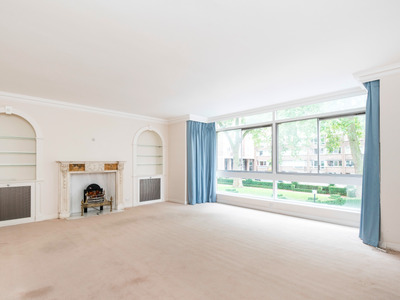 However, with luxury property prices in London stalling in 2016 maybe now is a good time to trade up and find a Hyde Park address like the above to rent.